The perfect night time solution! 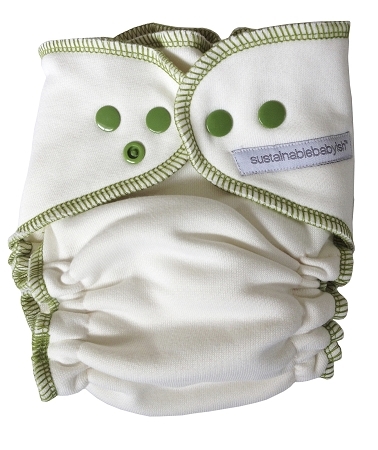 Sustainablebabyish Overnight Bamboo Fleece Fitted Diapers are soft and beautiful, made entirely of super absorbent bamboo organic cotton fleece. Perfect for day time use & the answer for nights, each OBF includes a shell with a double-length 3-layer snap-in fleece soaker that can be folded for customizable absorption. 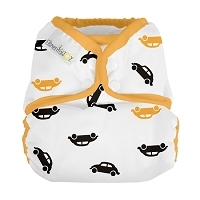 An extra lay in 3-layer fleece doubler is included to boost absorbency when and where you need it most. 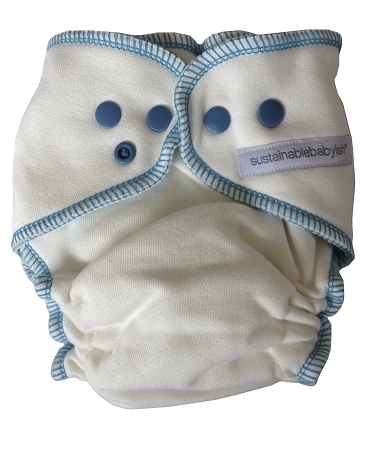 Pair with Sustainablebabyish wool covers for a leak free combination. For Sizing info please click HERE. 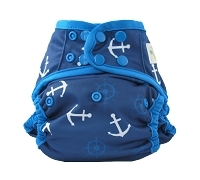 Fitted cloth diapers require a cover. Unsnap the soakers before laundering. Content: 70% viscose from bamboo/30% organic cotton. We use this for an overnight diaper. 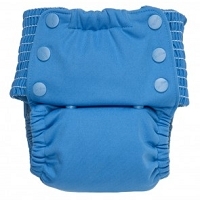 It works great, very absorbent yet soft to baby's bum. Our baby does tend to soak through (after 12 hrs of sleeping and 3 night feedings) - but there isn't much he doesn't soak through. We combine this diaper with a wool cover. Recommended and I will buy again.